I remember when I first discovered the warforged while reading through the Eberron setting. At first I was intrigued, and that fuse burned until I got genuinely excited. I've always had a love of unusual races, and there was a lot of potential in a race that began as a war machine, and now was trying to find its way in the world. An idea that eventually manifested in my Unusual Character Concept post The Android Barbarian. 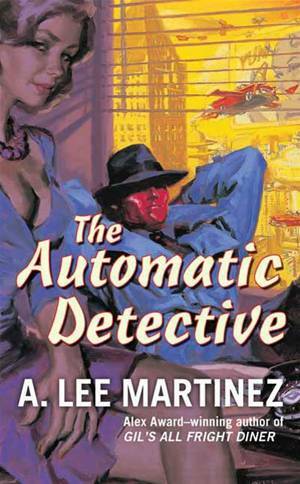 Or, if you prefer old-school archetypes, the sort of character that would fit the mold of "The Automatic Detective" by A. Lee Martinez. 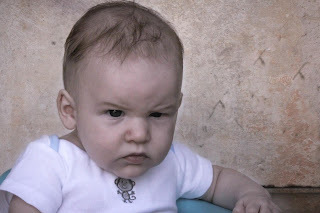 However, when I went to my DM and asked for permission to play a warforged, he said no. Disappointed, I asked what the reason was. I figured that, seen from a DM's perspective, the race might have been too strong, or too tough for a low-level game. Alternatively, their need to be repaired instead of healed may have been a hassle my DM didn't want to deal with. The answer, though, surprised and disheartened me. You see, my DM had been at a convention several years ago, and had been stuck at a table with an 11-year old gamer who was playing a warforged fighter. Said player decided to give his character the personality of someone who was one part tin woodsman, and one part R2D2, starting every sentence with the words, "beep, boop," and then typically making a request for oil. Something that, you can imagine, would fray the nerves during a 4-hour dungeon crawl. That was the reason why I was told to choose a different character concept; because some gamer I had no attachment to, and whose concept was a world and a half removed from what I wanted to play, had soured my DM on a particular race, and all concepts attached to that race. We all have a story about something like this. One DM I knew completely banned gnomes as a player race because a player with a gnome had sold-out the party and wrecked the plot by being so antagonistic. Another DM didn't allow characters of noble birth because he'd had players who created too much intra-party conflict with their status. And we all know at least one DM who refuses to let someone play as a certain class, or archetype, because Jeff did it before, and it smashed any sense of challenge. Seriously, I'm never inviting Jeff to my game again. On the one hand, this is the kind of behavior we display in every aspect of our lives. If you went to a particular restaurant, and got food poisoning, you don't go back there. If you got overcharged at the gym, and the company didn't rectify the situation, you find someplace else to work out. And if you have someone over to your house, and they ruin your night, you stop inviting that person over. With that said, we are also intelligent, thinking beings. We know, logically, that our dice will fall randomly. But we still believe in luck, despite understanding how probability works. In much the same way, you know that Sharon is a very different gamer than Jeff. You've had her at your table for years, you admire her style, and you like her commitment to building effective characters who don't overshadow the rest of the group. So why wouldn't you trust her not to act like that problem gamer you associate this particular concept with? It is perfectly reasonable to be wary of things you have seen abused in game. 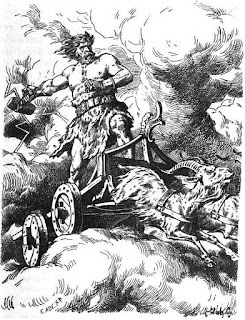 However, before bringing down the banhammer, ask yourself if there is a real reason you are saying no to a player besides your personal dislike for a concept. This goes against my preconceptions... BANNED! Now, it's your table, and you are the one with the final say over what players can and can't bring to your game. However, if your players are asking you for something, then you should at least sit down and share your misgivings with them. Tell your players what you don't want to see, and ask them to show you how they'd do it differently. Give them some rope, and see whether or not they hang themselves. If the concept becomes a problem at your game, then you and the player should both figure out what to do about it. However, there's always the potential that a concept won't be a problem. In fact, if you're lucky, you may get a great story to tell about what a player did with that class, race, background, or other concept you were considering banning for all time. That's all for this week's Moon Pope Monday post. Hopefully it hasn't dredged up too many memories of games you'd rather not recall. If you'd like to help support Improved Initiative so I can keep making posts like this one, then stop by The Literary Mercenary's Patreon page. All it takes is $1 per month to help me keep doing what I do, and you get some sweet swag out of the deal while you're at it. Lastly, if you haven't followed me on Facebook, Tumblr, and Twitter yet, why not start today? Yeah, I have no love for Kenders, Gnomes and Hobbits, because when played in my experience, it is an excuse to go out of the way annoyance. But you are right. I have a new gaming group and I should give them the benefit of the doubt.